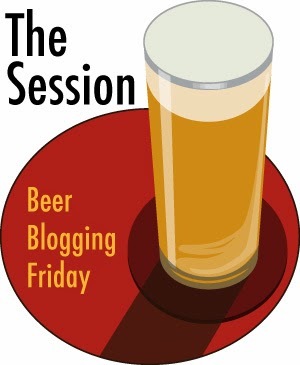 For the 101st session, Jack Perdue asks us not to talk about the beer itself but rather about the packaging and paraphernalia that comes with it. Bottle caps, boxes, holders, anything that is considered the packaging of the liquid. I can't use the word Detritus without a nod to the recently deceased Terry Pratchett. Detritus was one of the characters in his books. He was a troll in the city watch. Moving along, what can I say here? Most bottles or cans of beer are pretty basic. A logo, some info about the beer and usually a bar-code. Some go a little above and beyond. PBR for instance have playing card symbols on the under side of their bottle caps. All 52 are represented and the idea is to encourage people to buy enough PBR to have a set. They have even spawned groups of traders to help build their sets. Theoretically, you could play card games using the bottle caps but I imagine it would be difficult. Here's a post from a few years ago with a bottle of PBR and a bottle cap stuck to my forehead. In Ireland, the Porterhouse uses grenade style pull ring caps on their 330ml bottles. Here's a random link to one of their beers so you can see it. It's a novelty but it makes it easy to open the bottle if you happen to lack a bottle opener. Some brands put a lot of effort in to their packaging. Beavertown goes all out with their cartoon story branded cans. Some people collect this sort of stuff. I don't as such but I do collect beer mats. Not seriously, I just keep them for two reasons. One is to actually use them. Also, at some point in the future, I suspect I will decorate a wall with them. Maybe if I ever have my own bar/brewery, my beer mat collection will get some use, Otherwise, the home bar will get it. 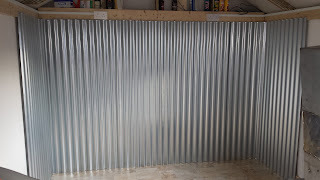 My current home bar isn't suitable for it as it's in the kitchen. I could use them in the mancave of course. Speaking of which, here are some images of where I am with it. 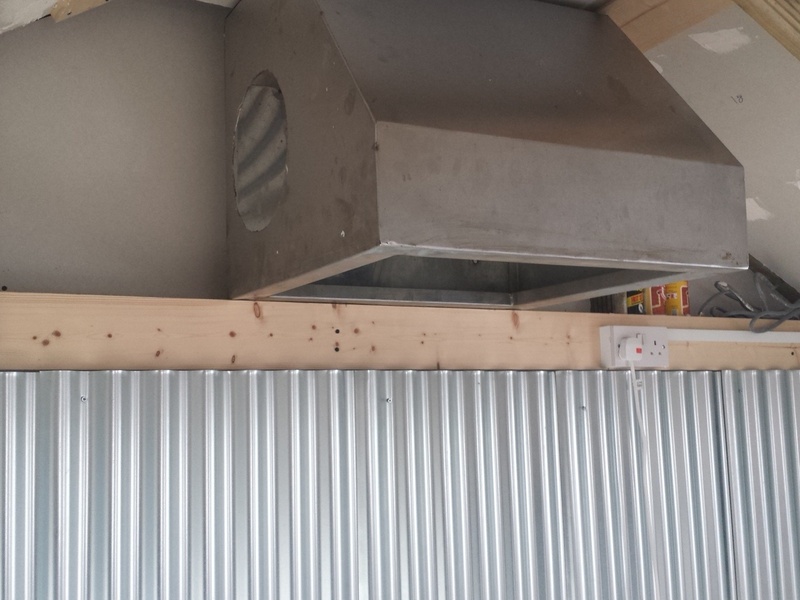 It seems like a never ending work in progress but it's nearing usability in terms of brewing. Once the extraction system is in place, I can brew some beer. 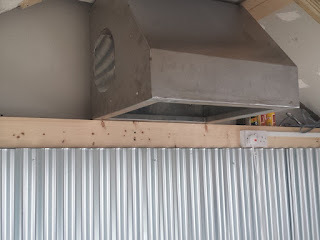 I put the extractor hood up yesterday and cut a hole for the fan. 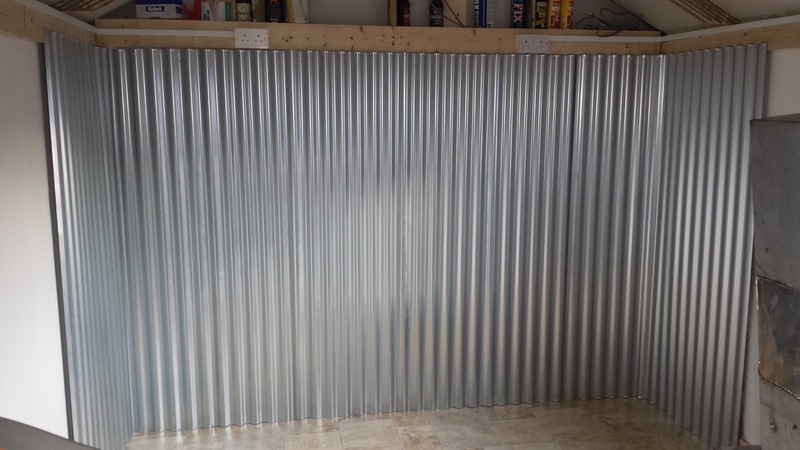 I used galvanised corrugated roofing for the walls on the brewery end. 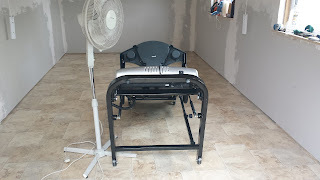 This image is after I got the vinyl floor down but before I plastered the walls. That's a treadmill folded down. Hey, thanks for taking on the topic for The Session #101 — Bottles, Caps and Other Beer Detritus. I enjoyed reading your post. I too collect beer mats, or coasters as I'm used to calling them. And yes, I too use them. They serve as a reminder of places I've been. And good luck with the home brew. I'm in a similar place, but working on a new 16 ft x 12 ft out building to house my potential brewery. Prost!